Hello, this time i'm gonna share a little tip about How to Backup Windows Drivers In 5 Minutes! well..If you forget to backup them all so that when it finish window re-installing, you have to find and re-download the necessary drivers in accordance Type of your Computer / laptop. So, to solve this, you need to backup all of the the drivers before window re-install so when you have finished Installing Windows 7, you only need to update the drivers. 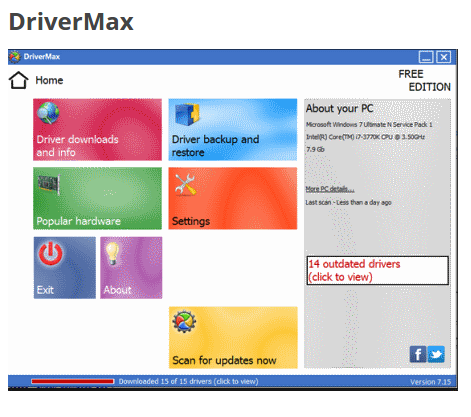 I use DriverMax, a little size software for 7MB but can save the time for hundreds drivers to download, you just need to install it. After downloaded, Then open it and click install next to finish install. Once completed, the back up result of the folder will appear in the form of file compression .rar files backup, copy the file to a local disk or another partition in order to save it. Backup Complete! so easy How to Backup Drivers.